People build legacies. Technology can expedite processes but only the curiosity of people can elevate thought. Undoubtedly then, visionaries are the foundation of successes that set standards and help markets develop. 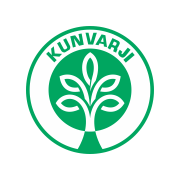 For close to 60 years now, Kunvarji understands and values its bedrock of trusting people and best helping them to deliver their insight. This faith in our vision, sparked to life by Shri Kunvarjibhai Roopshibhai Thakkar in the nation’s baby steps post-independence, continues to ignite opportunities today. We and our partners and our clients have reinforced relationships over the years and still enjoy the thought of excelling together. Kunvarji supplies commodities to Gulf countries, North America, Latin America, China and Far East. We are constantly expanding our geographical reach to cover more locations by establishing reliable network and export hubs.